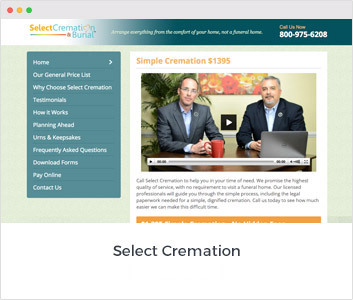 If you operate a cremation service and do not have an effective, revenue generating website, you are missing the biggest opportunity in the funeral business today. 1Most families will start their search online. 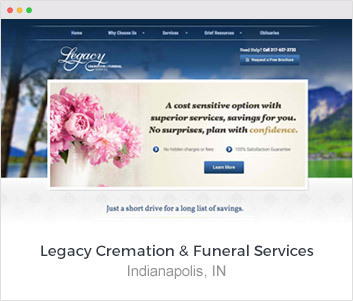 A cremation website by Directors Advantage can help gain market share by helping you convey the value of your cremation services, whether that is a focus on full traditional services followed by cremation or a simple cremation with no service. 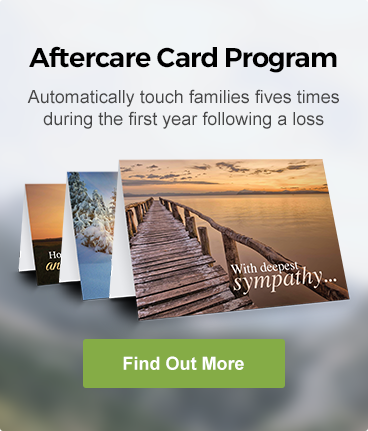 Cremation families are looking for information that will help them choose the right provider. We help you find information that is tactical yet supporting.